Aston Hall is an impressive 17th century stately home located within the area of Aston, Birmingham. Built by Sir Thomas Holte on the designs of architect John Thorpe. Construction began in April of 1618 but Holte and his family didn't move in until 1631, though the house wasn't officially finished until 4 years later in April of 1635. Shortly after it was finished the house was badly damaged during the English civil war and some of the damage which was done by Parliamentary troops in 1643 can still be seen today. A cannonball was fired at the house and went through a window, a door and finally into the banister, the resulting hole can still be seen to this day. The house remained in the family until 1817 when it was sold to the son of an industrial pioneer named James Watt Jr, though he only held onto it until 1858, when it was sold to a private company, called the Aston Hall and Park company Ltd, who opened the hall as a park and museum. 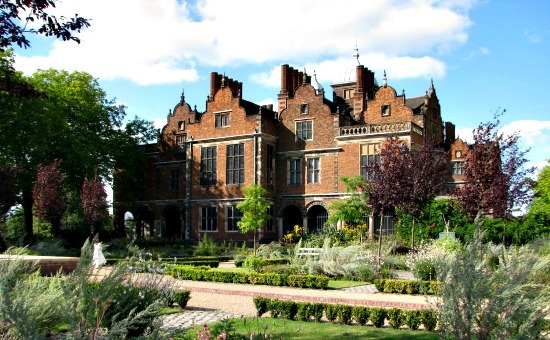 Today Aston Hall is run by the Birmingham Museums Trust and is open to the public as a museum and function venue. One such function is called "Candle light" where 500 candles are spread around the hall to light it up in a stunning display of dancing shadows. The Hall also hosts regular ghost tours but please check with the venue directly to guarantee correct tour information. The hall is not known for having the most ghosts in Birmingham, but it is still known to be the city's most haunted building. There are thought to only be a few ghosts at the hall, though people have claimed to witness many different apparitions. The most well known spirit is that of the hall's "White lady" (yes i know every place has one), she has been seen around the upper floors and has been described as a shimmering see-through woman in a white dress with long dark hair. Her story is also a sad one and the most common version goes as follows. Sir Holte was said to be a very cold and stern man who had a very cruel side. knowing her father would not approve of her chosen partner, his daughter Mary decided to elope with her lover, but before they could leave her plan was discovered. Her father locked her in her room, never allowing her to leave the upper floor. She stayed a prisoner in her own home for over 10 years until she finally died, some say from suicide and others say from madness, but the pain she suffered in her final years seems to have forever connected her with the home. Sir Holte's house keeper is the second most commonly seen spirit, and she is known as the "Green lady". Most often seen sitting in one of the chairs in the great hall, and wearing a high collared green dress. Apart from these the other spirits here are rarely seen in full form, but more often witnessed in their activities, such as the movement of objects or creating noise from areas known to be empty. An interesting tale from the hall speaks of a glowing ball of white light, which has been seen by staff and visitors alike coming out of a wall and flying at high speed toward the stair case. This has been linked to the cannonball which came into the house and hit the staircase, though the story of an object having some kind of spiritual manifestation is something new to me.